Your fastest self on the racecourse is light and lean. Combining “light and lean” with “strong and healthy” is the Holy Grail of optimal performance, and together work to create those peak moments you train so hard for. While under-fueling is the fastest route to over-training, over-fueling will not make you into a lean performance machine. The perfect balance takes action and attention to detail. For endurance athletes to lose weight, nutrition plays much more of a vital role than exercise. Athletes should be focusing their exercise habits on performance development first and foremost. Training solely to burn extra calories leads to either eating more calories or over-training by under-fueling, neither of which results in fat loss. It’s all about the food. Fat loss takes time. Water loss can happen overnight. Your goal should be fat loss, which means patience is required. Avoid being too aggressive with your calorie deficit goals. Aim for a 300- to 500-calorie deficit per day for healthy long-term fat loss that is sustainable while base training and building fitness. Starving yourself with too few calories will make your caveman brain switch on starvation mode. This shuts down fitness development and locks down fat stores. Extreme under-fueling will sabotage your training and lead to a litany of other problems such as hormone imbalance, bone loss and immune system depression. To achieve your optimal race weight, you must stay healthy. When Should You Ramp Up the Weight Loss? You have more flexibility with nutrition during lower intensity off-season and base training periods. Once you have moved into your higher intensity build, peak and race periods, your fueling and recovery demands are too high to maintain a calorie deficit while building fitness. Don’t wait until eight weeks before your peak race or assume the weight will just come off while training. That only happens to a lucky few with the right genetics. The rest of us need to take action by following a detailed plan to achieve our optimal race weight. Follow this list of actions one by one until you reach the point where you are losing 0.25 – 1.0 pounds per week of body weight. If you are within three to five percent of your race weight it is likely you only need to follow steps 1-3. Get started now by eliminating all soda, including diet soda. Next eliminate alcohol, candy, cakes, chips, sweets and all junk food. For many athletes this step is enough to create their gradual weight loss mode. Maintain a 300- to 500-calorie deficit per day. Fuel for your training sessions before, during and after. These are not times to skimp on nutrition. Reduce your carbohydrate intake on rest and recovery days. 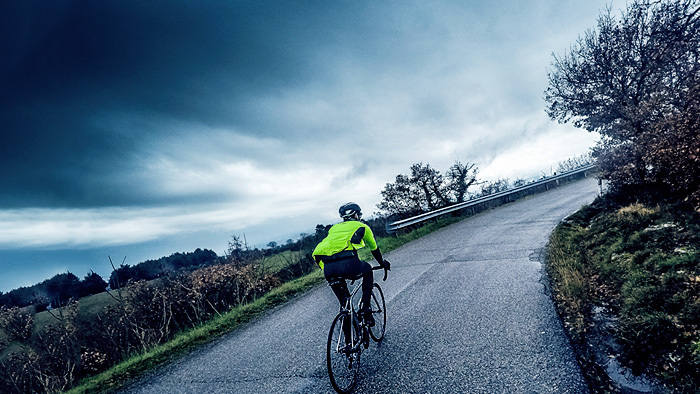 These are the times when training glycogen depleted has little impact on your fitness progress. Eat a light, low-carbohydrate, high-protein dinner the evening before a rest day. Athletes who are already eating a whole food, nutrient dense diet need to start their weight loss journey with portion control. Even the best foods can be overeaten. Sleep eight hours per night. Sleep deprivation inhibits fat loss. Protein intake should be maintained at normal levels despite a lower overall daily calorie intake. This means increasing the proportion of protein in your daily diet up to 25 to 30 percent of daily calorie intake. Focus on lean protein sources such as meat, fish, seafood and eggs. Dairy is a controversial component of a weight loss plan. Some athletes benefit from dairy and others do not digest it well. Use your own experience to decide if dairy is a healthy part of your diet. Maintaining protein intake will maintain your lean body mass and focus weight loss on fat loss. Load up on vegetables by filling half of your plate with veggies at most meals. Fruits are a healthy component of any weight loss plan, but should be eaten in moderation. Utilize nutrient-timing techniques. Instead of a recovery drink after training, time your training session to end at meal time and eat one of your daily meals for recovery. This can eliminate 250 to 400 calories from your daily intake without any drawbacks. Limit grazing and focus on meals. Avoid snacking while watching TV, working or surfing the internet. Fast overnight. No food after 8 p.m.
Don’t cheat. Cheat days and cheat meals will knock you off your weight loss trajectory. Identify times you pack in unneeded calories as a habit and create a strategy to change it. For example, almond butter is my weakness. I really like watching TV with a jar of almond butter in one hand and a fork in the other. This quickly leads to 500 calories down the hatch. Willpower or putting a sticky note on the lid telling myself not to binge is ineffective. Not having it in my pantry in the first place is my best strategy. Be your own support system and set yourself up to avoid your own pitfalls. Use a food diary app (or good old-fashioned pen and paper) to measure your calorie intake for three days. Learn the nutrient profile of foods you are eating to make accurate dietary decisions. 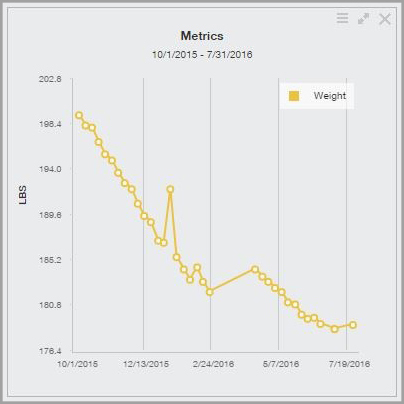 Track your body weight or body fat percentage in TrainingPeaks and graph it out over time using their dashboard tool. Seeing your milestones and goals achieved on a chart is motivating. Join a challenge for social support and motivation. Groups often get together for a nutrition or weight loss challenge such as The Whole-30. Sharing goals, recipes and excitement with friends can make staying on plan fun. Read up while losing weight to keep your mind focused and brain waves full of information leading you down the right path to your goal. Set realistic goals and provide rewards for yourself. These can be tangible, such as a blingy bike part or intangible, such as dropping your threshold mile pace by 10 seconds. Throw out all junk food from your fridge and pantry. If you don’t have easy access to your trigger foods, they don’t go in your mouth. Use smaller plates to help with portion control. Add a glycogen-depleted training session. Once or twice per week do a steady 30 to 60-min aerobic training session in heart rate zone 2 or power level 2 in a fasted state first thing in the morning. Refuel with breakfast immediately after. Training in a glycogen depleted state will enhance fat burning and boost your fat loss. There is no doubt getting down to race weight is challenging and requires sacrifice. Embrace the hard work and earn your rewards. It will put you in the position to have the best races of your life.